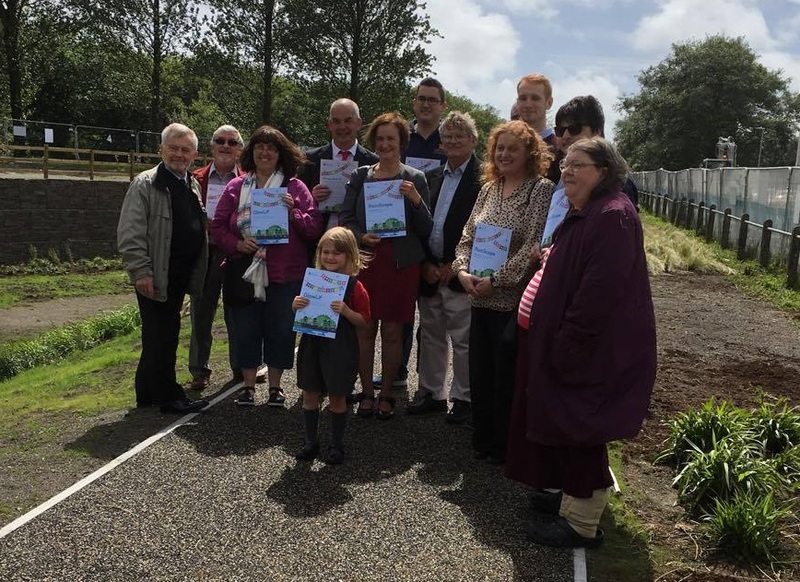 I was delighted on Friday to join representatives from community groups which have benefitted from grants from Dwr Cymru Welsh Water’s Rainscape Scheme. I know the groups will put the money to good use in their projects to benefit the community. I was also pleasantly surprised by the scale and pleasing appearance of the swale in front of Park View Terrace that Dwr Cymru has created as part of the Rainscape scheme. The aim of the scheme is to slow down the flow of surface water run-off during periods of heavy, persistent rainfall so that it does not overload the sewerage system – thus both reducing flooding risk and the need to let overloaded sewers spill into the Burry Inlet. It has involved major investment by Dwr Cymru Welsh Water in Llanelli.